Home » News & Blogs » How do we organise to create a new local economy? about the technology or lack of resources- its more about how we can work together and organise ourselves to respond to the collective challenges we face. So many of the challenges of today require us to work things out together to find a shared response- in groups, teams, organisations, communities, nations…. And that’s fine working in groups, teams or organisations- except that they are full of people! So many social change groups and organisations who try and do things like create a more sustainable, resilient and equitable local economic system come up against the challenges of working together. But this is very often paid little attention, as people are so keen to just get on with it. Just as there are physical technologies which can help us do things quicker or more effectively, there are also social technologies which can help us do the same- in the area of how we work together. It was Winston Churchill who said ‘”Democracy is the worst form of government, except for all the others”. 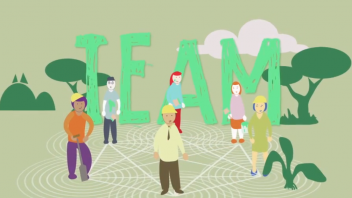 Well new ones are being created, and one such new one is Holacracy! Its a form of governance and way of working together that successfully integrates the wisdom of multiple perspectives while still allowing for individual autonomy so that decisions can be made quickly, effectively and organisations can be agile. Its one that avoids the damaging situations where 51% of people get to outvote 49%. The first ever Holacracy Introductory Workshop is happening this Friday 21st June in London. There’s also a full tour of UK Holacracy workshops, which you can attend by booking your place here http://agileorganisation.eventbrite.co.uk . And follow us on twitter at AgileOrg, http://agileorganisation.org.uk, Facebook https://www.facebook.com/AgileOrganisation?fref=ts . Or contact Nick Osborne directly on nick@response-ability.org.uk. Its a common misconception that most of the ideas in Holacracy are borrowed from Sociocracy. I have read the Sociocracy book you refer to and while there are some similarities between the two systems and they can look similar on the surface, there are also some very fundamental differences. There’s an interesting free audio download on the ‘Resources’ section of http://www.holacracy.org which goes into detail of this. It isn’t really a misconception, it is a a simple historical fact. All the key parts to holacracy; circle organisation, double-linking, decision making and elections by consent; all are taken directly from sociocracy. Considering these facts, I’m a bit baffled as to why you’d paint them as a ‘misconception’ rather than just acknowledging that it is indeed where “most” (as Brian says) of it came from? I’d love to learn more about what the so-called “fundamental differences” are though, so I’ll have a listen to http://www.holacracy.org/resources/sociocracy-holacracy and report back. But, even better, how about a freebie to Friday’s event?! Yes there are some core practices of structure and governance in Holacracy which are the same and similar to Sociocracy. I understand from hearing Brian Robertson talk recently about it that some of these were taken directly from Sociocracy, and others were derived in parallel and they had come to similar conclusions to Sociocracy anyway, by other routes. Brian wrote that paper in 2006 which was very early days for Holacracy. It has evolved considerably since then and the actual practice has departed from Sociocracy more in how it works, even though some of the structures look the same. – Sociocracy is more about the people, and more orientated towards governance of the people, by the people, for the people, as I understand from the ‘We the People’ book about Sociocracy. The approach taken by Holacracy contrasts with this in that it is governance of the organisation, through the people, for the purpose. The approach is an attempt to separate out the identification of people and all of our attachments from our roles in doing the work. Instead people are considered to be in service of the purpose of the organisation by temporarily energising roles. Holacracy is explicitly not about democracy, whereas Sociocracy is about a ‘Deeper Democracy’ as in the title of the book ‘We the People. Consenting to a Deeper Democracy’. – In a similar vein I understand the decision-making is founded on the principle of consent in Sociocracy, and that this is fundamental to the practice of Sociocracy. Holacracy doesn’t use this principle in this way. Instead it uses a process called Integrative Decision Making in its Governance meetings. The key difference is in the way that objections are treated in Sociocracy. The part of the book which talks about consent and objections is very different to how in Holacracy there are very clear criteria for what counts as an objection- based not on personal preference, likes or dislikes, but rather on the extent to which a proposal might be harmful for the organisation. There are others, but this post is long enough already. I am looking forward to hearing your thoughts/notes on this and the video and exploring this more with you at the training tomorrow. If any of you Transition and REconomy people want to attend a Holacracy workshop but its too expensive, then contact me and we can work out a bursary. e.g. intellectual leader Ken Wilber can’t be wrong, and if you think he is it is just because you’re on a lower level of consciousness, see e.g. Holacracy looks interesting, but de-selects itself from serious consideration by any self respecting social innovator by presenting a confusing image and being so heavily commercial. I’m confused how it made it to the reconomy blog. If you are doing a social good, this level of profiteering and commercialisation has no place in your organisation. Hi James, thanks for your comments i’d be interested to know what is meant by “heavily commercial”. Are you talking about the training costs? or something else? I’d just like to clarify a few things: Holacracy training is NOT a training offer developed and delivered by the Transition Network. It has been developed independently in the US entirely independently of the Transition Network. I deliver the Transition Training, and the Effective Groups Training and Resources on behalf of the Transition Network. 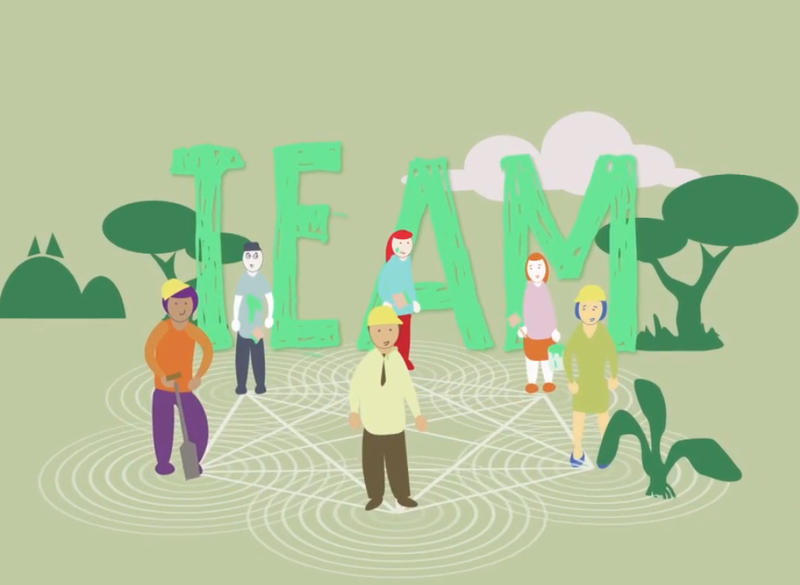 The Effective Groups Resources are on the Transition Network at https://www.transitionnetwork.org/training/courses/effective-groups, which includes training and resources part-funded by the Transition Network. Holacracy fits within the approach I take to helping groups, teams and organisations work more effectively, as the way I frame it is that many of us create hierarchical structures where power is often concentrated, and get fed up with them and then create collaborative groups where power is shared instead. And there is more recently a move to more agile organisations with systems like Holacracy where power is distributed. The ways that power is used in social change (and any) organisations is absolutely fundamental to how effective they can be. I have been doing this work for 20 years and Holacracy is the most useful synthesis of many different approaches I have found for how people organise to achieve social aims- that is why I include reference to it in the Effective Groups Resources and why it is posted here. See my responses to other messages about the commercial aspect of it. I have been doing this work for 20 years and learnt and used more different tools, methods and approaches than I can remember, and for me Holacracy is the most useful synthesis of many different approaches I have found for how people organise to achieve social aims- that is why I include reference to it in the Effective Groups Resources and why it is posted here. If we want to create a new local economy, we also need to change the way we organise ourselves and run our institutions, as they clearly aren’t serving us well at the moment. I believe it is a tool that can support social innovation and wider social good if people who are working towards these goals can make use of it. But there are number of barriers to this. One barrier is financial as it is expensive to get trained in Holacracy. I have paid the money and am now working at making Holacracy training available at more affordable rates in the UK to people working for positive social change such as Transition and REconomy. Another barrier is about attitudes. The fact that it is sold commercially in some places doesn’t mean that it isn’t a useful tool for social change and I don’t believe it should preclude consideration because of that, but I recognise that there are some people who do believe this. There are many tools/methods/approaches that are used commercially which are also useful for social change. This is a complex issue and not one easily addressed on an online forum! And it is currently costing me a lot of money to start to deliver Holacracy training! My ambition is that I can one day earn a part of my livelihood through delivering training in Holacracy, rather than it costing me money, so that it can be one method amongst others which helps social innovators work together more effectively. All of the information one would need to set this system up themselves is strangely missing from the website. Perhaps the information is available for free some place that I can’t find it. Please direct me to that place. If it isn’t available as a gift to society then it is definitely heavily commercialized given that they’re trying to keep information behind a pay scheme. There is an extensive Resource Library at http://www.holacracy.org/resources. And there are lots of free videos and downloads. But because Holacracy is a methodology for organising which is rooted in a different paradigm to our usual organising paradigms, its impossible to communicate it all through resources like videos, audios and written downloads. It requires an explanation of the foundations of the paradigm, some of which can happen that way, and then experiences of doing things in this way. Just like you can’t learn to drive a car from reading a book, Holacracy is a practise which requires practice. And there are costs involved in sharing that practice. If you’d like a bursary ticket at a Holacracy training event then please contact me and I’ll be happy to work one out with you. I hope that helps with your query? I think this discussion exposes one of the really interesting issue of our time as we try to straddle the void between the old world, with bills to pay financial demands, and the new world where gifting and sharing plays an ever greater role. i think those of us who chose to sit between those worlds have a difficult job indeed spending half our time doing the splits. Nick is one of the core group that initiated the REconomy Project and has spent tireless hours (paid and unpaid) dedicated to Transition and REconomy. Perhaps more importantly for this discussion, Nick, is by far the most skilled person i have ever met in terms of understanding how to operate as a group. That is pretty important stuff as i’ve said before, IMHO In the new economy the single greatest skill that we need to learn is how to work together in groups. So, i sincerely hope people will support Nick as he tries to support us all in our great Transition. Thanks for your support Shane! I think its helpful to think about it in terms of a transition between two worlds, ways of doing, seeing and thinking. That is certainly my experience of doing this work. I do find it challenging to keep going with all this when, when I stand up and try to open up and work with new ideas, people seem to find it very easy to criticise and shoot me and the ideas down. One of my favourite quotes is ‘if you are going to be a bridge, expect to be walked on’. I see that people are still visiting the Eventbrite booking page of the Holacracy workshop that was in London last week from the links above. There is a whole UK tour of Holacracy workshops scheduled at http://agileorganisation.eventbrite.co.uk, so do visit this page if you are interested in doing one. And there is another one scheduled in London for 12th November. Hi Nick, i’ve updated the post so that it directs to the new link…. Hi guys, I’m coming back to this. Firstly, I should say that I’m a passionate Transition and Sociocracy evangelist (see SociocracyUK.ning.com). I found myself becoming a little defensive of Nick, who I think is fab. I think the cartoon videos are of a really high quality and useful for getting people thinking about group health, which is so important. Nice work Shane & Nick & co! There are so many tools that can support this journey, and I’d recommend people looking into several. I really want to support the principle of getting people paid. I encourage people to adopt the principle: As much as feasible, only put money in to the hands of people you like. If you see people who you actually know you like, and you can see them doing useful work, then they’ve probably been hustling along the pioneer’s path for a while. We need to find ways of getting them paid, as much as possible, as often as possible. If we’re not building the Transition Economy, then who the hootenanny will? On the other hand, I strongly believe that we need to put the smart 21st century tools into people’s hands as widely, rapidly and accessibly as possible. Our job is to integrate those 2 principles, so we upscale to meet the urgency and complexity, and don’t burn people out or lose valuable leaders along the way to the rent-demons. For everyone else, I’d say don’t get stuck in which way is best, just try things out and see what works for you. Try anything, try it now, tell others. We can get distracted by the shiny tools, but let’s not forget we have an Ark to build, and we have much more in common than in contrast. Most importantly, take group health and effectiveness seriously, yet playfully. Because the job is too important to hash up.